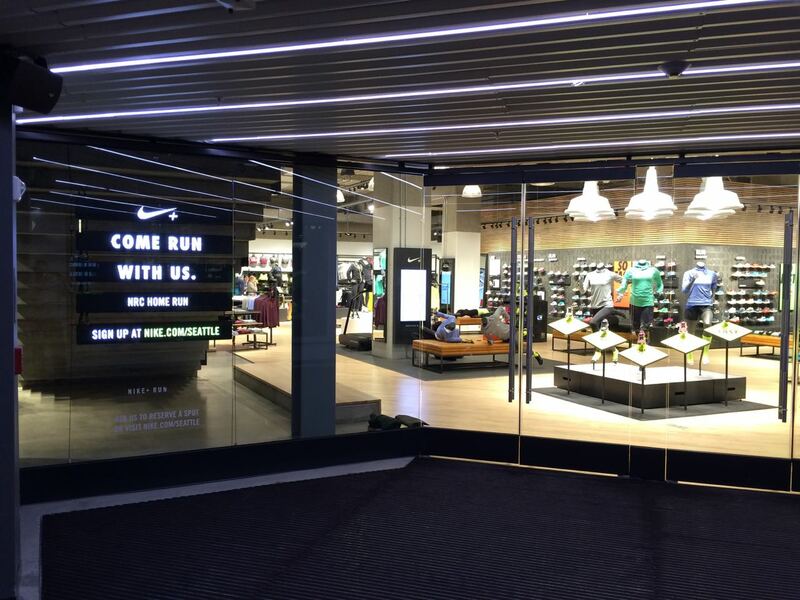 In seeking to engage its community NIKE employs LED display technology to enhance its in-store messaging, large and small. 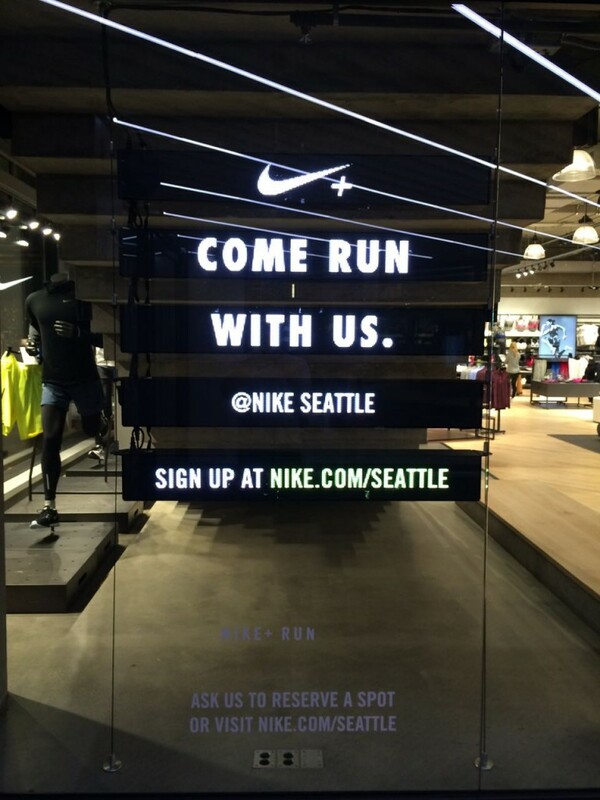 These examples of window messaging and in-store digital canvas walls exemplify digital signage leadership. Bright and with effective design capability the NanoLumens LED Reader Boards have proved the perfect store window display. A simple, practical and economical solution for continuous communication, even when the store is closed. These displays can be programmed with time sensitive messages and NanoLumens can provide on board WiFi, Beacon and audience recognition capability. 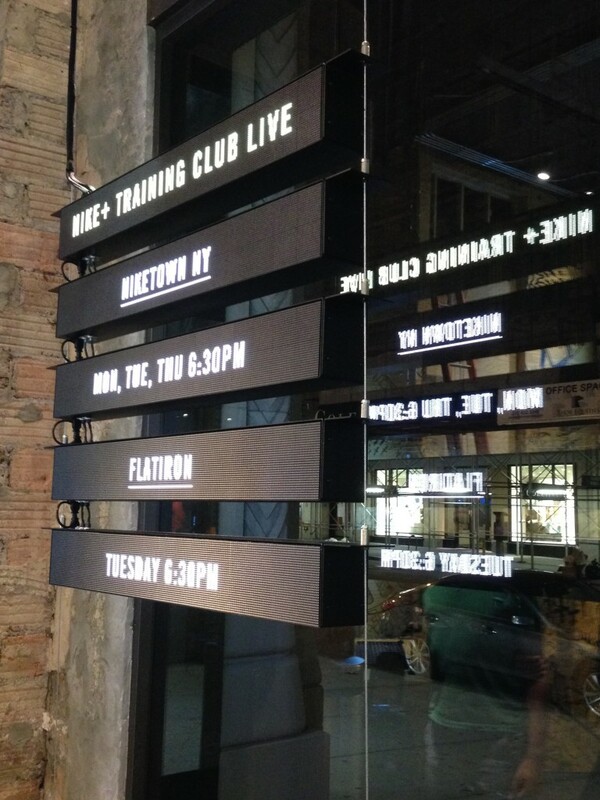 NIKE’s Flatiron store in New York features a large social media wall (video), a never ending waterfall of social media posts by NIKE fans, their brand ambassadors, living and using the brand every day. The digital canvas is NanoLumens 4mm NanoSlim LED. 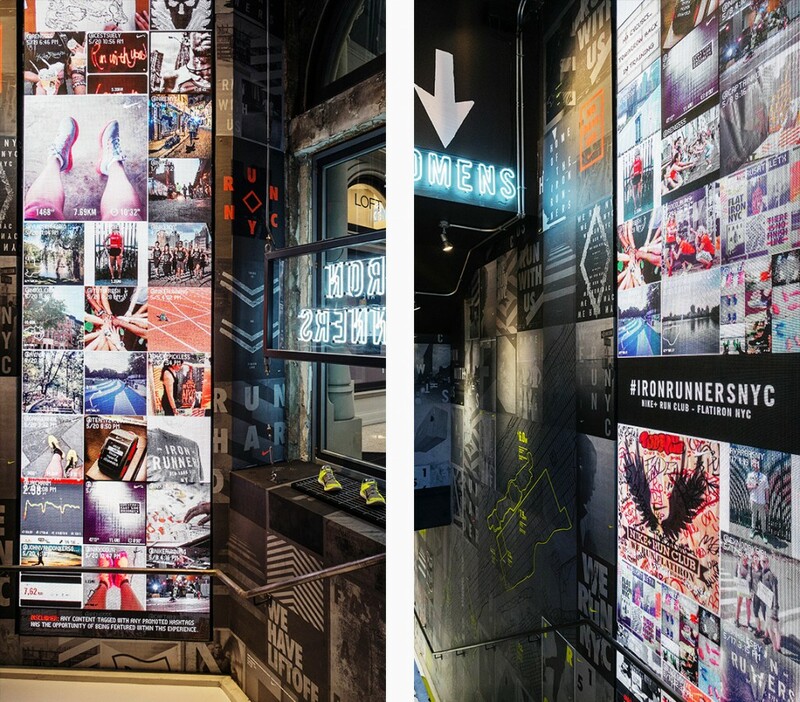 This installation was developed for NIKE by New York digital creative agency STEADY.